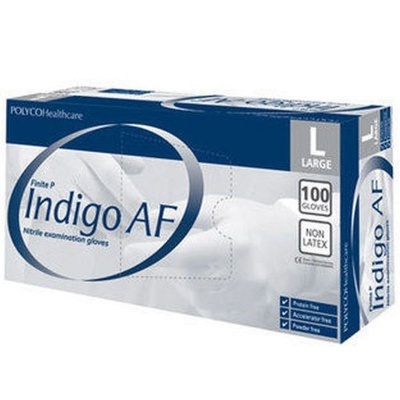 The Polyco Finite P Indigo AF Nitrile Disposable Gloves MFNP100 are high quality nitrile disposable gloves that protect the user against a wide range of oils, acids and chemicals. With increased elasticity from a resilient tensile synthetic rubber, these gloves provide a comfortable fit and will perform well to protect hands across a wide range of environments and conditions. Polyco Finite Indigo Gloves are premium powder free nitrile disposable gloves that are compliant to European Standard EN 374, providing an effective barrier against oils, acids and other chemicals. 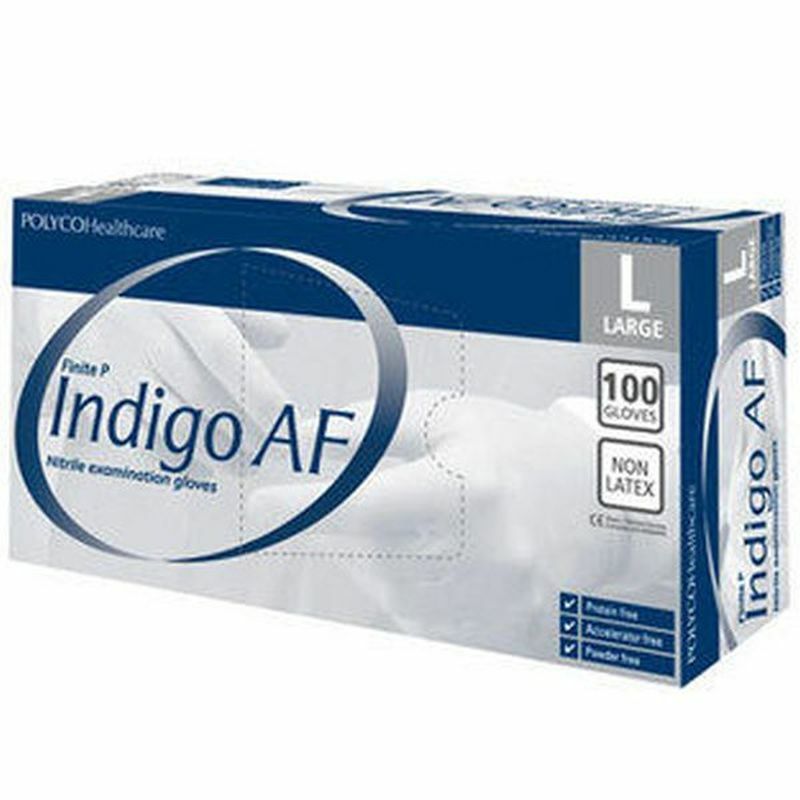 Polyco Finite P Indigo AF Nitrile Disposable Gloves are non-sterile, synthetic nitrile rubber disposable examination gloves that are in conformity with the provisions of Council Directive 93/42/EEC and with National Standards transposing harmonised standards EN 455 and is self-certified as a Class 1 non-sterile medical device. Finite P Indigo AF have been tested in accordance with EN 1186. They are suitable for use with all food categories in situations of short term, repeat contact. 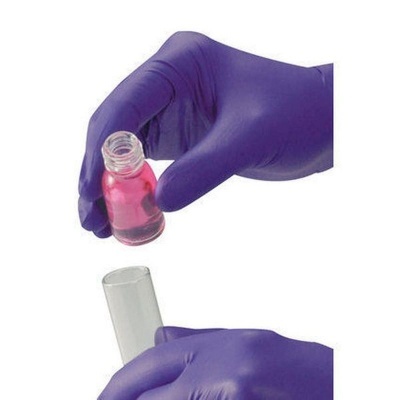 The Finite Nitrile Disposable Gloves are available in five sizes that should suit the hands of most users. Please measure the circumference of your hand around the knuckles (excluding the thumb) with your hand open and your fingers together, and the length of your hand from the tip of your middle finger to your wrist.